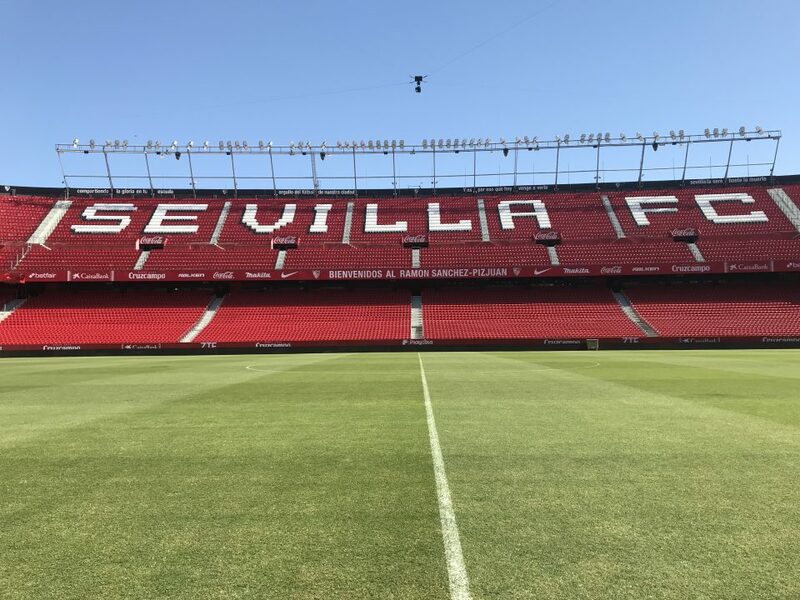 For our final day in Seville we visited Plaza de Espana, Parque de Maria Luisa and took a Sevilla FC stadium tour. After four great days exploring Seville, Cordoba and Cadiz, it was time for our final full day in this fantastic city. There was still so much to see. 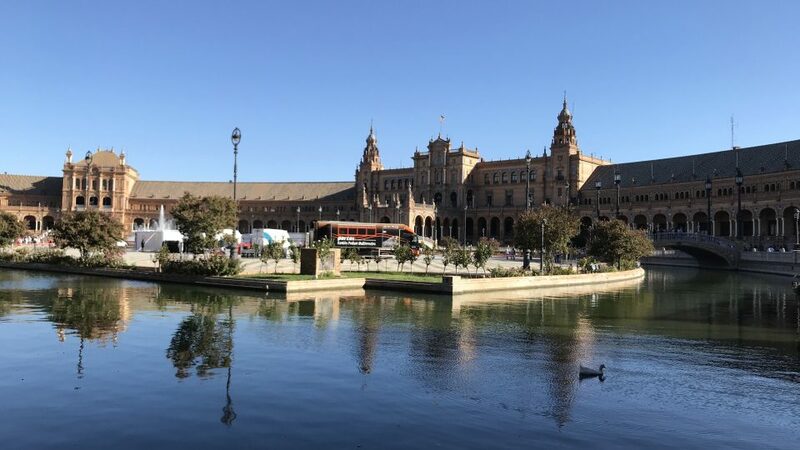 We walked through El Centro, where I nearly fell over to the wife’s delight, to our first destination of the day – Plaza de Espana. This is the monument which features on most of the promotional material to encourage people to visit Seville. Plaza de Espana was constructed in 1929 and we were so impressed with the brickwork, tiles, fountains and its sheer size. Photos didn’t do it justice at all. The tiles around the edges depicted many of Spain’s cities. 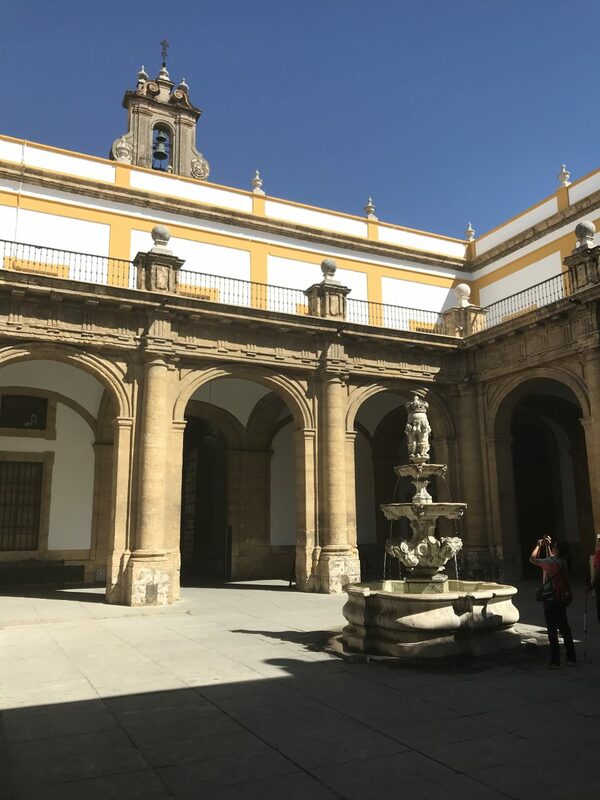 We spotted a few places we had been such as Toledo, Cadiz, Cordoba, Malaga and Granada. Escaping from the crowds of Plaza de Espana we crossed over into Parque de Maria Luisa. We thought it was so nice to just get some peace and quiet and breathe in the fresh air in this large park. 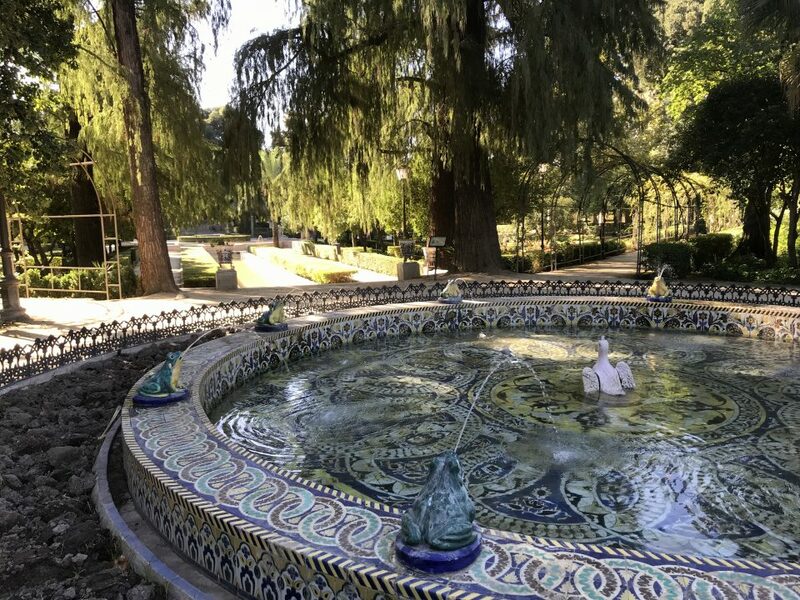 There were so many ponds, fountains and gardens to admire. Hayley was quite taken with the Fountain of Frogs for some reason. Perhaps it’s because she sounds like one? After a quick beer in the sun we arrived at Plaza America. This green plaza is flanked on both sides by the Museo de Artes y Costumbres Populares and the Museo Arqueologico. The unusual thing about this plaza was the hundreds of doves that dwell here, they were everywhere. 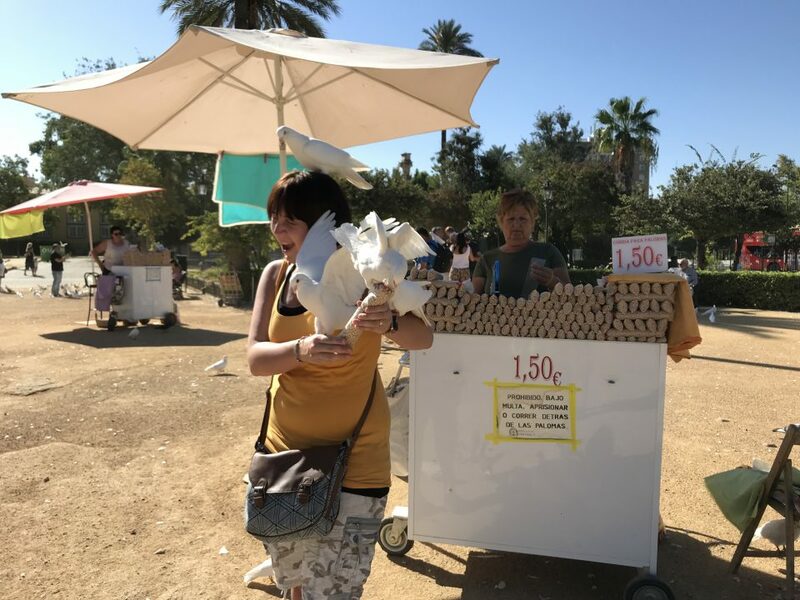 Hayley bought some food to feed the doves and at one point about 10 of them landed on her before she even opened the packet, she even attracted a pigeon. It was probably one the funniest things I’ve ever seen. With the dove attack over we made our way to Prado de Sanbastian. This leafy square was hosting a World Food Festival with lots of countries represented such as Spain, Greece, Argentina, USA, Peru and many others. But no UK with some pork pies or scotch eggs! 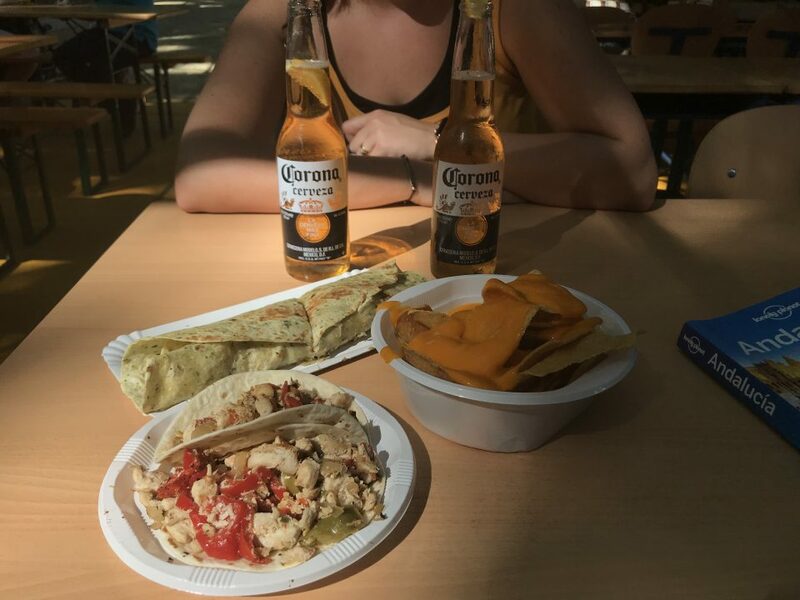 We opted to eat from the Mexican stall and we devoured a burrito, chicken tacos and cheesy nachos. All swilled down with an ice-cold Corona. Even though neither of us are smokers, we then visited the old 18th century Antigua Fabrica de Tabacos. This massive old tobacco factory is now a campus of Seville University. The interior was very grand and it reminded me of a museum. 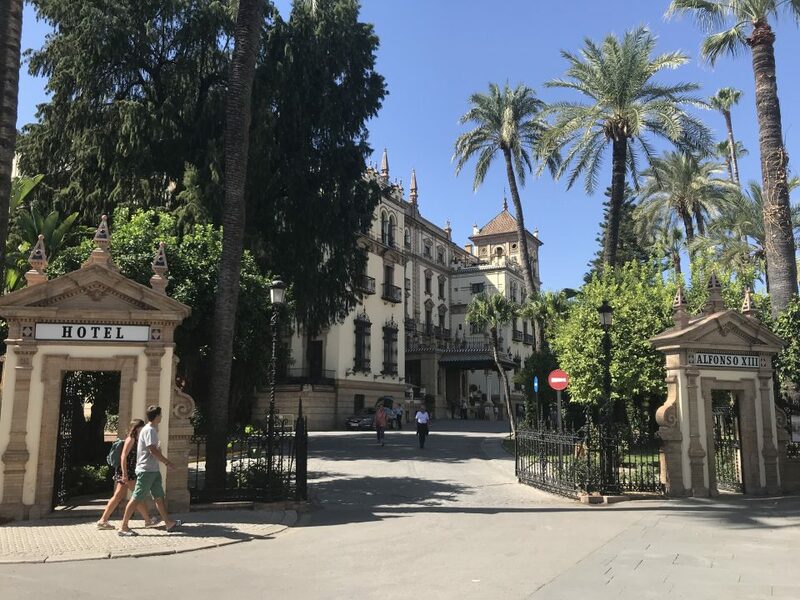 Not to be confused with the hotel we stayed at, Hotel Alfonso XIII is Seville’s most luxurious hotel and is also a major city landmark. It was constructed in 1929 for the World Fair. There is no earthly way we could afford to spend a night there. They probably wouldn’t have even let Hayley in with dove feathers and claw marks on her. We then got onto the metro and arrived at Estadio Ramon Sanchez-Pizjuan, home of Sevilla FC. For only €10 we enjoyed a self-guided tour that included the museum, VIP boxes, press room, changing rooms, pitch and dugout. Hayley had to have a selfie with the shirt of former Swansea City player Roque Mesa. 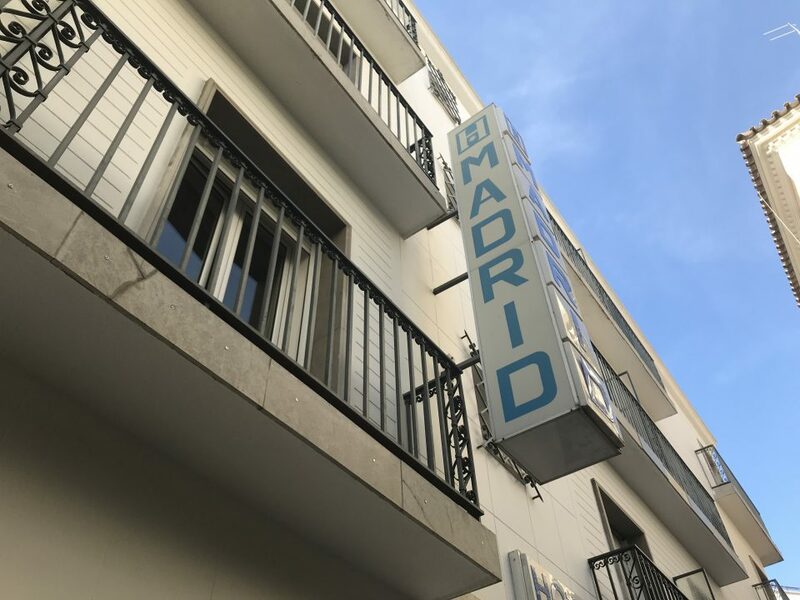 Hotel Madrid had been our base for our time in Andalusia. It was a great hotel, centrally located and the staff couldn’t do more to help you. The rooms were clean, simple and had great air conditioning to escape from the heat outside. We would definitely recommend. Finally, did you enjoy this blog? Or if you have already travelled to Seville? Do you have some other suggestions to share? Then remember to leave a comment.